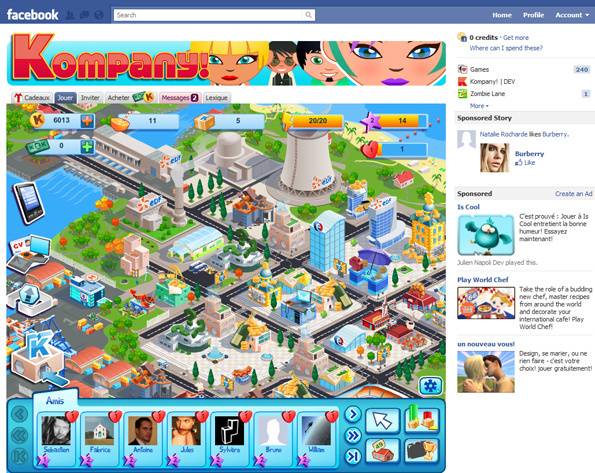 Kaisha (a.k.a Kompany) is a Serious Game, available on social networks such as Facebook, that enables students in 8th and 9th grade to discover Corporate life through gameplay! The game helps teenagers learn the essential vocabulary used in the workplace and the principal mechanisms that underlie corporate activity. This project is initiated and coproduced with the French Ministry of Education.